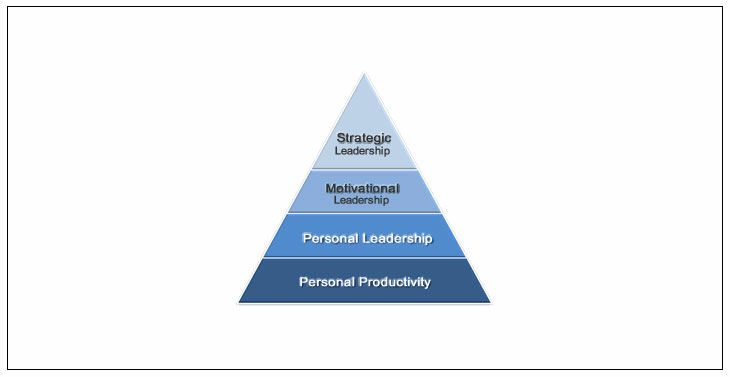 For leadership development to be effective, it must utilize a complete, integrated, total leadership development process. - The first principle is that for organizations to succeed in the 21st century, they must develop leaders throughout the total organization. - The second principle is that for leadership development to be effective, it must utilize a complete, integrated, total leadership development process. The best leaders - Total Leaders - excel at all parts and facets of leadership. As you can see, the Total Leader Concept is a thorough, comprehensive, complete, whole leadership development process. It literally develops people into Total Leaders! It’s difficult to imagine that a top leader in an organization could really be effective if they were missing one or more of these key components. Many leaders today are frustrated because they haven’t had the opportunity to develop all four areas. They feel like they are standing on the first tee of an important golf tournament and they’ve never practiced a single swing with their driver. The only thing they have ever practiced is how to putt. That is exactly the problem with leadership development today. When all you have is a hammer, every problem starts to look like a nail! The time has come for a new paradigm. A new process for developing leaders. We are very excited about the potential of our Total Leader development process. We look forward with anticipation to the day when most organizations are filled with Total Leaders!